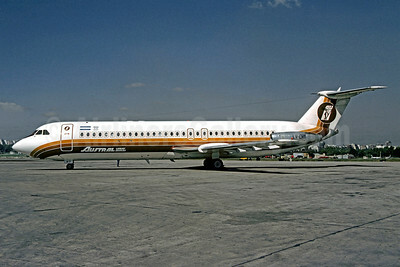 (AU/AUT) (Buenos Aires) 1971 - Current. Photos. Framable Color Prints and Posters. Digital Sharp Images. 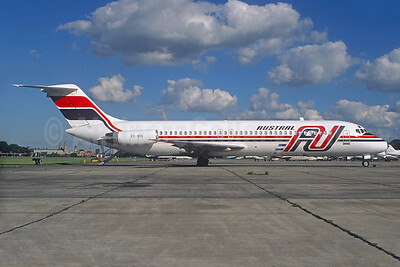 Aviation Gifts. Slide Shows. 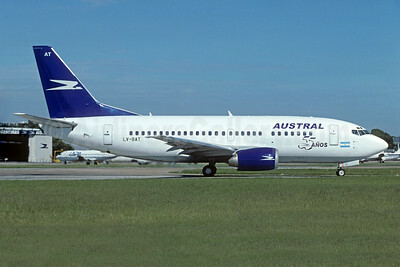 Austral Lineas Aereas-AU Boeing 737-228 LV-ZXB (msn 25235) AEP (Christian Volpati). Image: 934236. 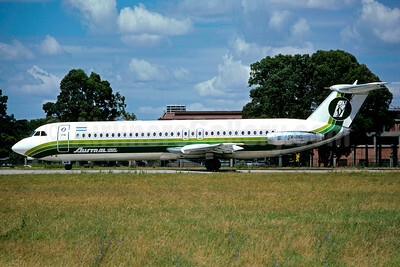 Austral Lineas Aereas BAC 1-11 518FG LV-MEX (msn 200) AEP (Christian Volpati). Image: 911182. 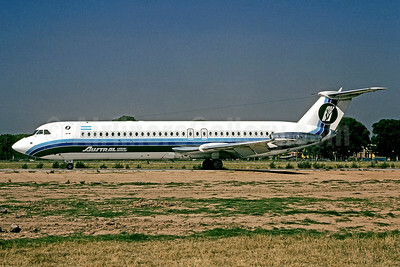 Austral Lineas Aereas BAC 1-11 521FH LV-JNS (msn 194) AEP (Christian Volpati). 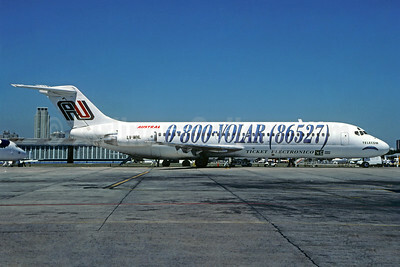 Image: 911180. 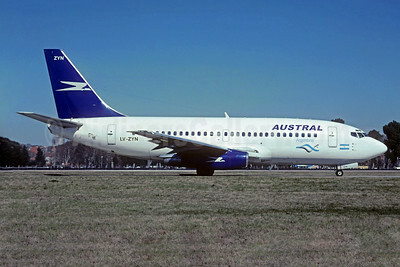 Austral Lineas Aereas Boeing 737-5H6 LV-BAT (msn 27356) (Aerolineas Argentinas colors) (55 Anos) AEP (Christian Volpati Collection). Image: 934228. 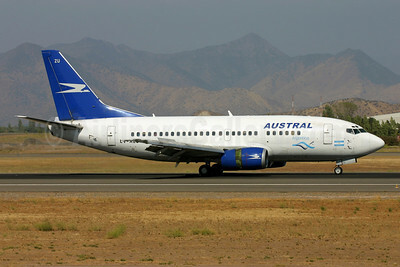 Austral Lineas Aereas Boeing 737-236 LV-ZYN (msn 21794) (Aerolineas Argentinas colors) AEP (Christian Volpati Collection). Image: 934237. 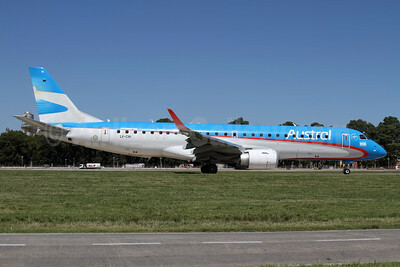 Austral Lineas Aereas Boeing 737-528 LV-AZU (msn 25235) (Aerolineas Argentinas colors) SCL (Marcelo F. De Biasi). Image: 900170. 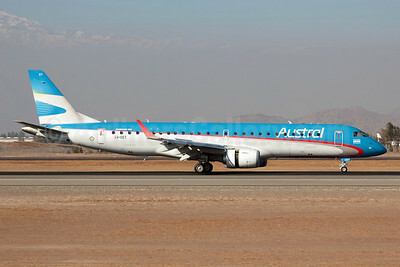 Austral Lineas Aereas Embraer ERJ 190-100 IGW LV-CET (msn 19000383) SCL (Alvaro Romero). Image: 908232. 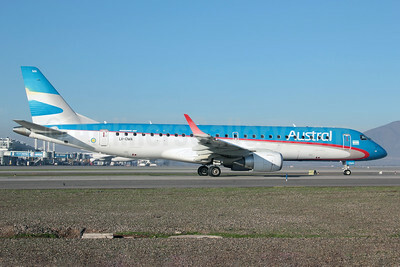 Austral Lineas Aereas Embraer ERJ 190-100 IGW LV-CET (msn 19000383) SCL (Alvaro Romero). Image: 911176. 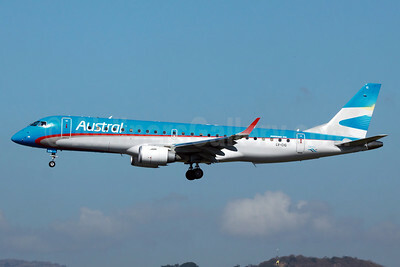 Austral Lineas Aereas Embraer ERJ 190-100 IGW LV-CHR (msn 19000400) AEP (Marcelo F. De Biasi). Image: 907810. 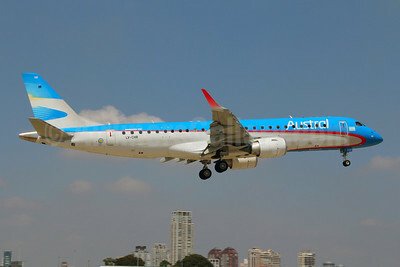 Austral Lineas Aereas Embraer ERJ 190-100 IGW LV-CHR (msn 19000400) GRU (Bernardo Andrade). Image: 911177. 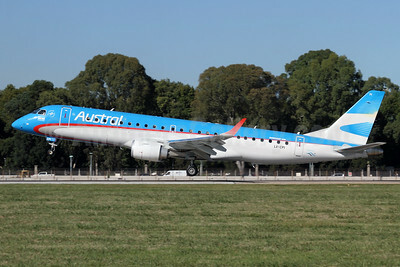 Austral Lineas Aereas Embraer ERJ 190-100 IGW LV-CIG (msn 19000427) AEP (Marcelo F. De Biasi). Image: 907808. 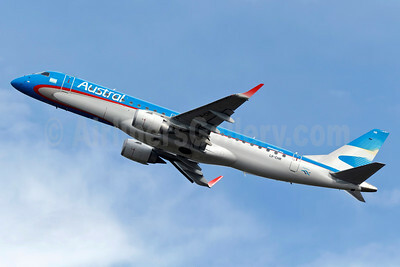 Austral Lineas Aereas Embraer ERJ 190-100 IGW LV-CIG (msn 19000427) GIG (Bernardo Andrade). Image: 911178. 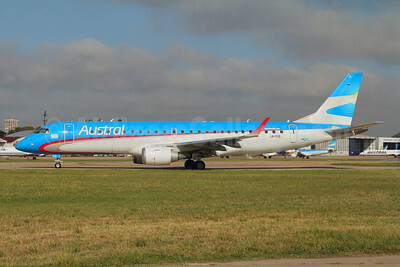 Austral Lineas Aereas Embraer ERJ 190-100 IGW LV-CIH (msn 19000428) AEP (Alvaro Romero). Image: 923435. 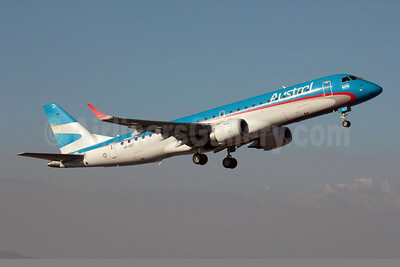 Austral Lineas Aereas Embraer ERJ 190-100 IGW LV-CMA (msn 19000445) SCL (Alvaro Romero). Image: 921433. 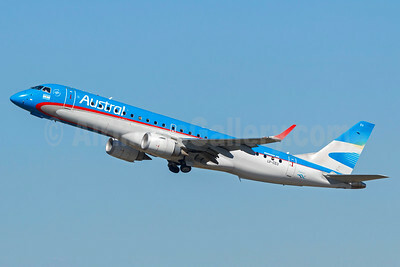 Austral Lineas Aereas Embraer ERJ 190-100 IGW LV-CPI (msn 19000457) AEP (Alvaro Romero). Image: 923434. 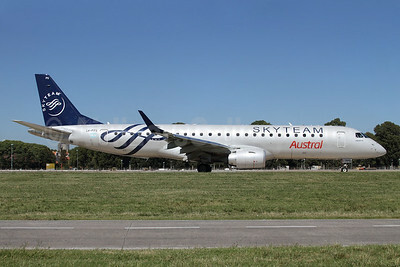 Austral Lineas Aereas Embraer ERJ 190-100 IGW LV-FPS (msn 19000639) (SkyTeam) AEP (Alvaro Romero). Image: 923433. 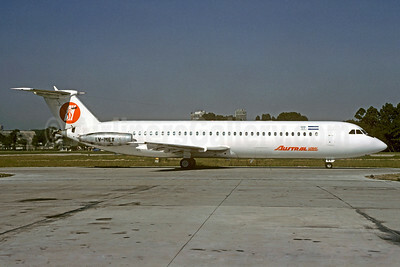 Austral Lineas Aereas McDonnell Douglas DC-9-32 EC-BIS (LV-WIS) (msn 47312) AEP (Christian Volpati). Image: 934227. 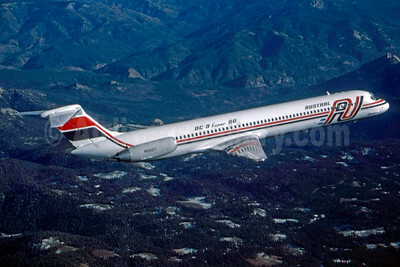 Austral Lineas Aereas McDonnell Douglas DC-9-32 LV-WHL (msn 47368) (0-800-VOLAR - 86527) AEP (Christian Volpati). Image: 934235. 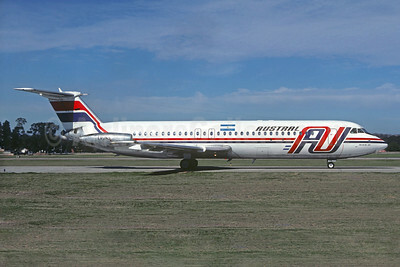 Austral Lineas Aereas McDonnell Douglas DC-9-32 LV-WHL (msn 47368) AEP (Christian Volpati). Image: 934234. 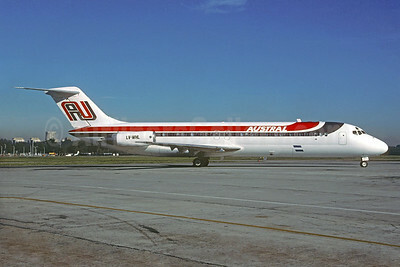 Austral Lineas Aereas McDonnell Douglas DC-9-81 (MD-81) N10027 (msn 48025) (Stephen Tornblom Collection). 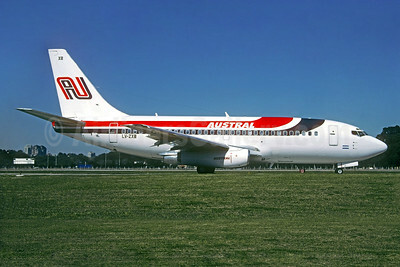 Image: 933126.